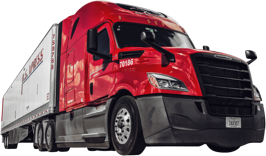 Lease to Own Truck Driver Opportunity! Great Pay and Hometime! Ride with U.S. Xpress today! We are now hiring lease to own truck drivers for runs out of Indiana with low weekly truck payments. If you’re interested in team driving, we can pair you with the perfect partner – ask about our Team Match program!